Imagine: Kids being shown creativity in the works; collaboration being celebrated and emphasized; kids being involved in communicating their thinking about design and craft; artists discussing the importance of planning, problem solving and critical thinking. That is what we got today! 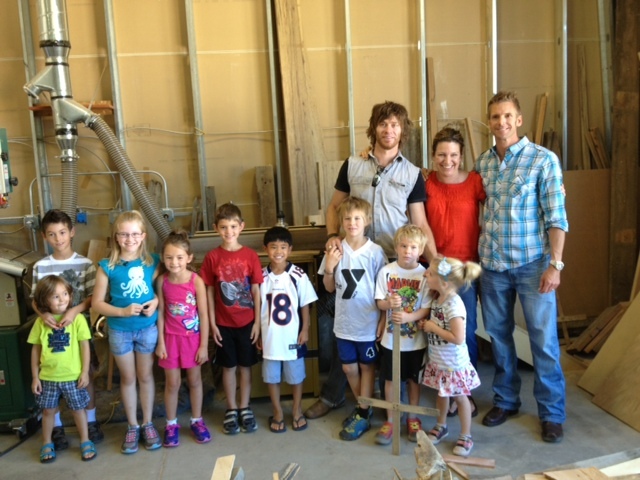 A handful of students and I toured Randy and Josh’s woodworking studio as they thoughtfully demonstrated their artistry and what they are putting into our Maker’s Space table. 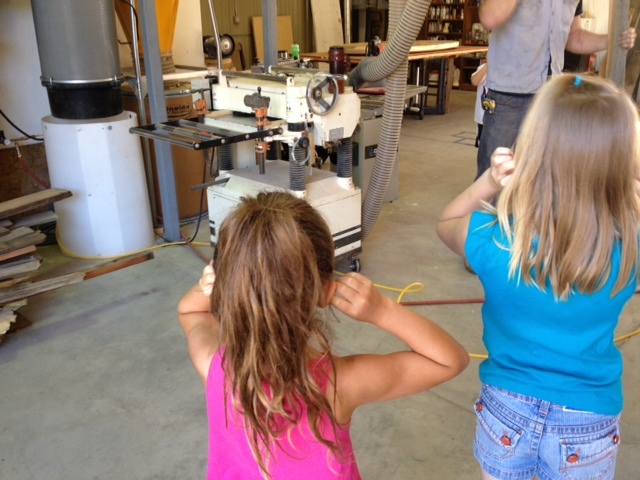 Students wore earplugs as they watched planers, saws, nail guns and bench sanders at work. They were involved in the design aspects and were able to actually nail pieces of wood into THEIR table. It was one of those goose bump days. 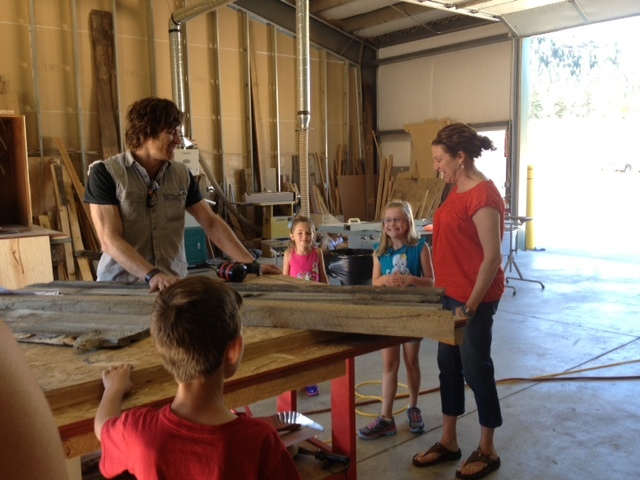 Josh (the wood artist) was (always will be) a teacher and led the kids, me and parents through the various steps of the process. A million WOOT WOOTS out to Twenty1Five! SO AWESOME!!!!!! When the heck do you sleep?! That was a great field trip. I host a maker club, Willow Glen Makers, out of my studio/workshop and love seeing kids light up when the learn that they can use a new tool.